A simple system devised for sorting linen into roll-cages. inclined to a height of circa 1800mm. 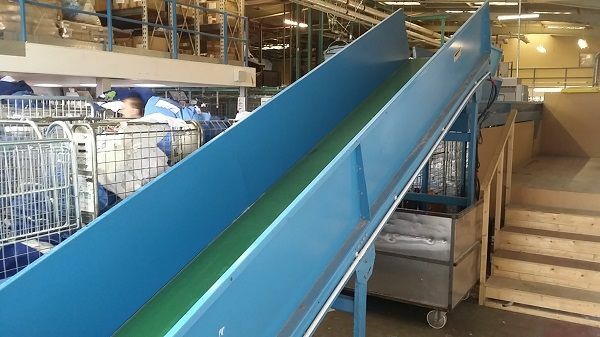 1 x Van Riet belt-conveyor, circa 5000mm x 600mm wide with low side panels for sorting.